AMPY offers two essential ways to lend your efforts towards group resilience. Restoration Skill Share Days (group work) and our Education Events (knowledge transfer) . The skill share days are posted throughout the month and year through the facebook group and the semi-regular email list. The educational events are posted there too and include our first monthly meetings held on the first Monday of each month. The education events and workdays are free and open for you and any interested party to attend. We do ask a $10 donation or trade of equivalent goods or services to cover the costs, energy, and time put forth to make these events happen. 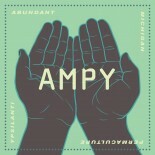 We use the Ypsi hOur Echange time bank system that allows us and you to track your efforts spend with AMPY. Time equates to gifts. Gifts may include; plants, seeds, bees, bat houses, bird houses, workdays at your site, and many other goods or services. As our name implies, we are a permaculture group. As permaculture implies, we seek to create a perennial local culture. Perennial cultures are long-lasting, resilient, sustainable, regenerative (they propagate themselves), and healthy. This is the place to start if you are new to AMPY and desire to plug-in, but wonder how, where, when, etc. laborers and general workers–people who commit x hours a month to show up to Restoration Workdays, help AMPY members individually, etc. lawns that we can turn into forest gardens, do you have a lawn, or part of one, for AMPY to transform into beautiful edible landscaping/forest gardens? capacity builders network–do you have sustainability skills that you could teach to a small workshop? can you help compile a list of capacity teachers that coordinate with the workdays? organized people and teachers, please!